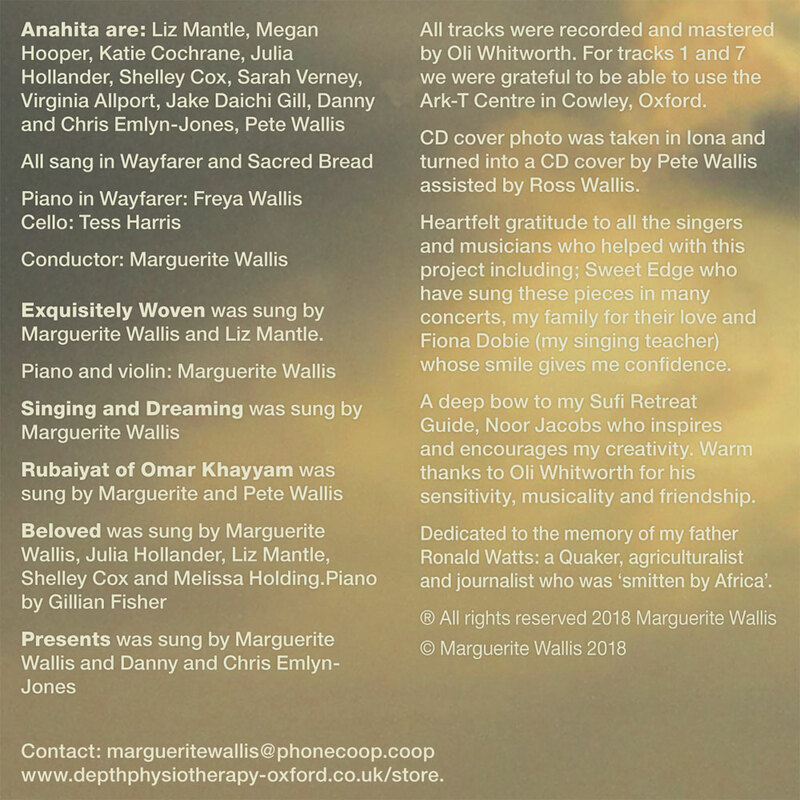 Although this CD has been inspired by my fathers’ journey home to wherever this manifested world came from, and the journey we had to make to let him go, ultimately this CD is about our longing for the Beloved in all its manifestations. We may experience the Beloved in the dying face of a loved one, our baby’s smiles and gurgles, a friend’s hug, the sun glancing off water, the beauty of a lime tree’s scent, or in meeting emptiness as we breathe out or fullness as we breathe in. We may long to see, hold and touch the Beloved by creating it in our imaginations and learning to make it real by embodying it in our hearts. This CD is an offering to our brokenness and to our splendour, as we are “exquisitely woven” and our “souls have the signature of God”. words resonated with my feelings of how precious my dad was in life. 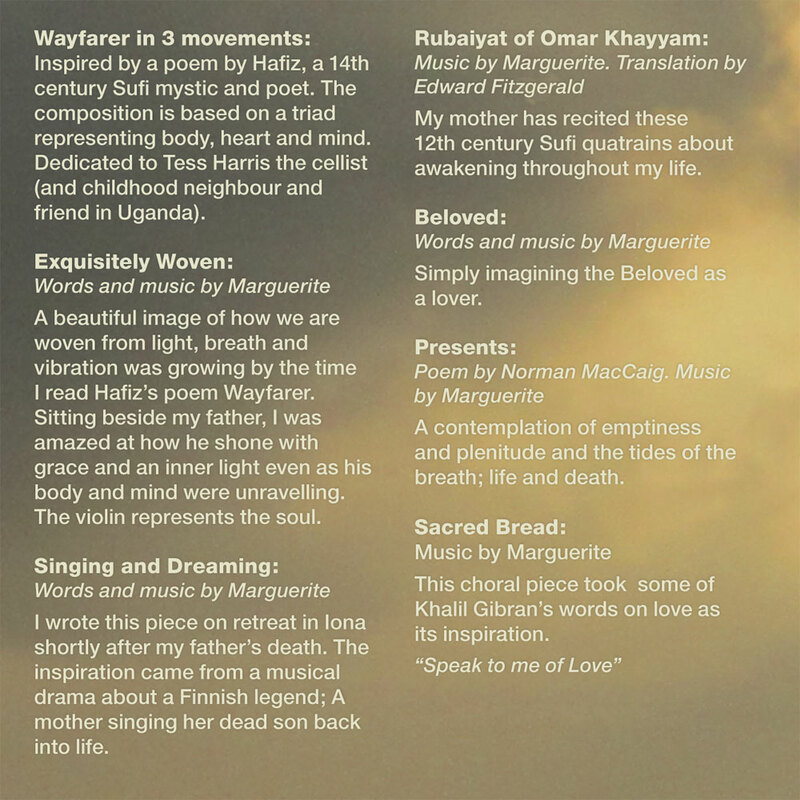 Dedicated to Tess Harris the cellist (and childhood neighbour and friend in Uganda). Exquisitely Woven: Words and music by Marguerite. with grace and an inner light even as his body and mind were unravelling. The violin represents the soul. 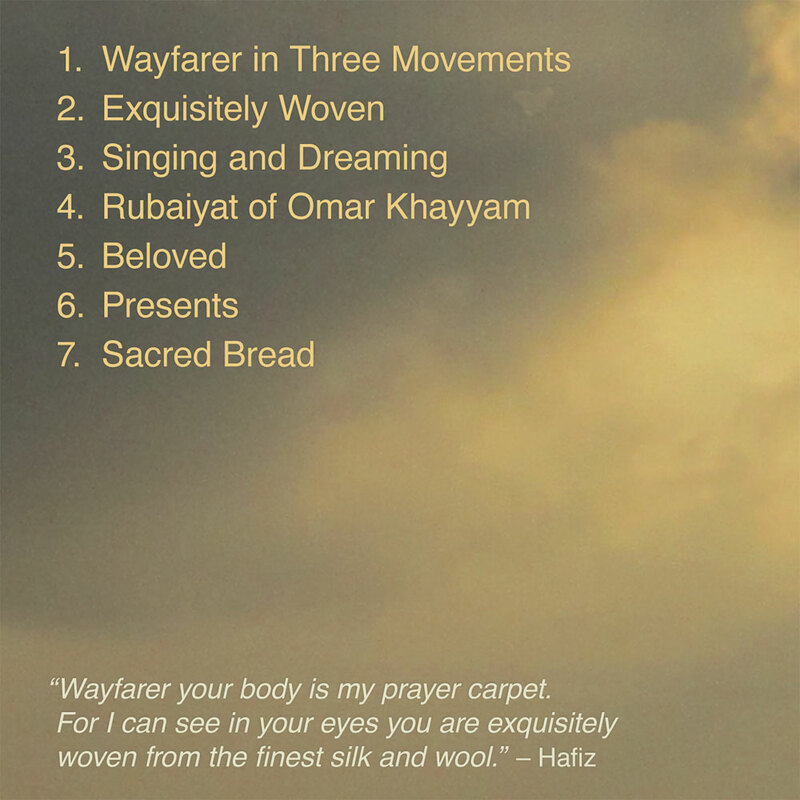 My mother recited these 12th century Sufi quatrains about awakening throughout my life. Beloved: Words and music by Marguerite. Simply imagining the Beloved as a lover. Presents: Poem by Norman MacCaig. Music by Marguerite. A contemplation of emptiness and plenitude and the tides of the breath; life and death. Sacred Bread: Music by Marguerite. 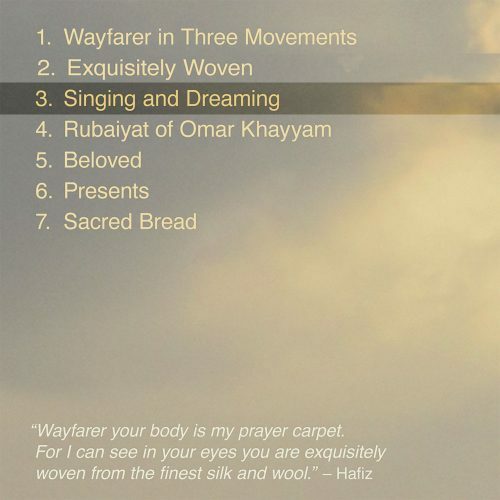 This choral piece took some of Khalil Gibran’s words on love as its inspiration. Danny and Chris Emlyn-Jones, Pete Wallis. 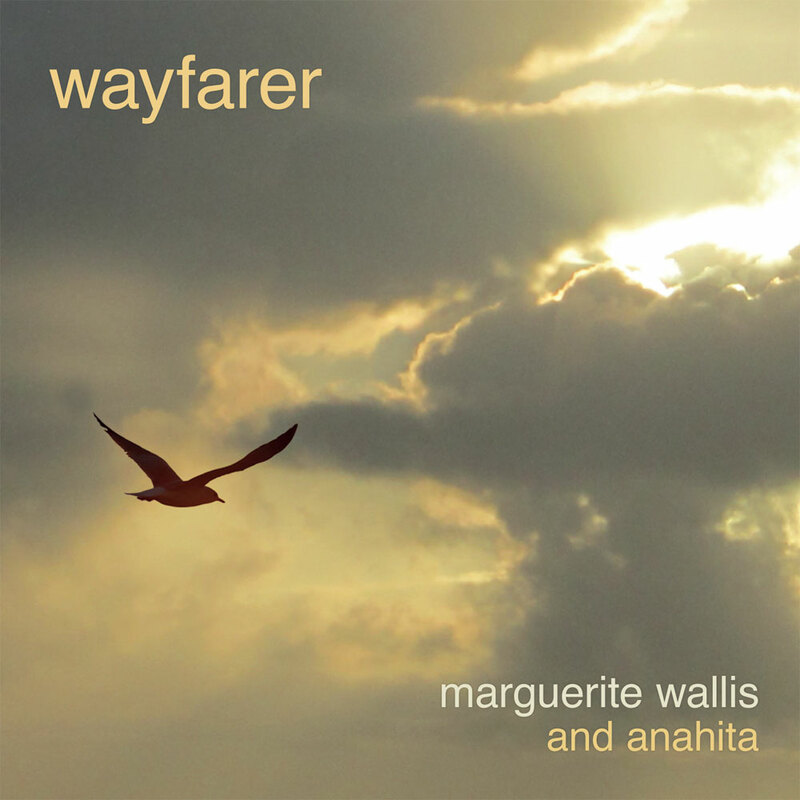 Piano in Wayfarer, Freya Wallis and Cello, Tess Harris. 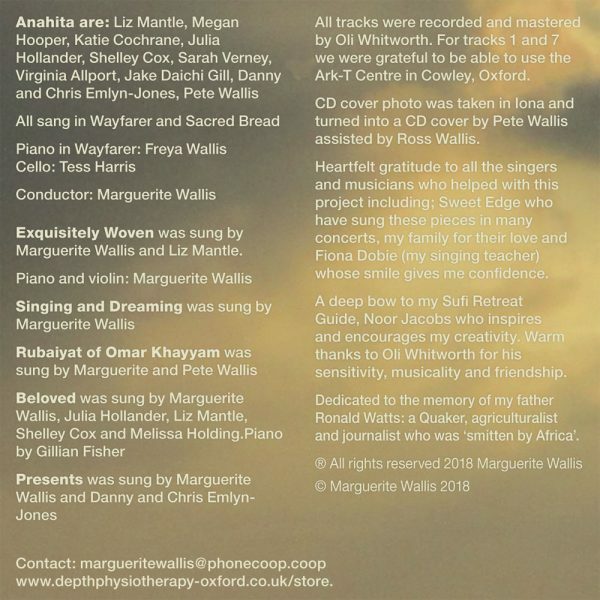 Exquisitely Woven was sung by Marguerite Wallis and Liz Mantle. Liz Mantle, Shelley Innez and Melissa Holding. Presents was sung by Marguerite Wallis and Danny and Chris Emlyn-Jones.